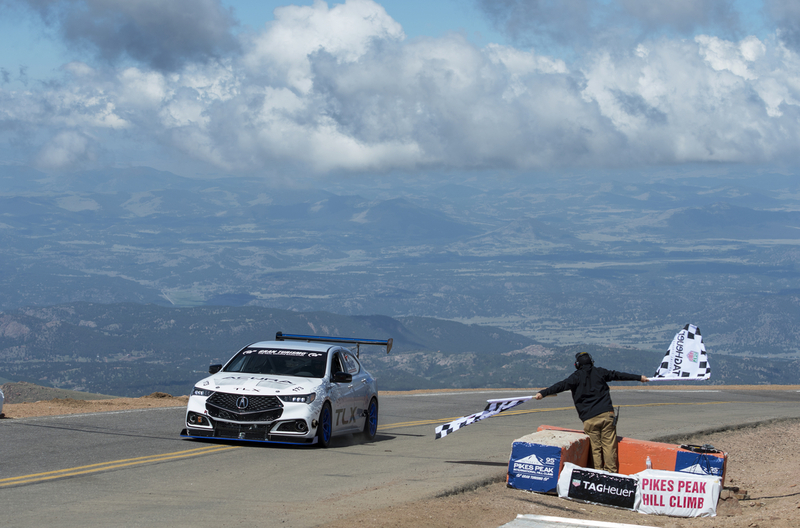 Acura entries were victorious at the 95th running of The Broadmoor Pikes Peak International Hill Climb this past weekend. Making its first run to the 14,115-foot summit, the TLX GT, driven by long-time Acura race car driver Peter Cunningham, set a new Open Class record with a time of 9:33.797, finishing second overall and earning Cunningham “Rookie of the Year” honors for the annual event. The 2018 Acura TLX A-Spec, making its racing debut, won the top spot in the Exhibition Class with a time of 11:03.655, while the production-based NSX with GT3-inspired modifications earned a podium finish in 10:03.433, taking third place in the Time Attack 1 class. “I couldn’t be happier with our finish today with the Time Attack 1 NSX,” said James Robinson. “Our time of 10:03 was very close to our goal to get a mass production NSX under 10 minutes. I think this speaks directly to the effectiveness of the Sport Hybrid Super Handling All-Wheel Drive. In addition, we were able to get a third place in the Time Attack 1 class, and 7th fastest car overall. 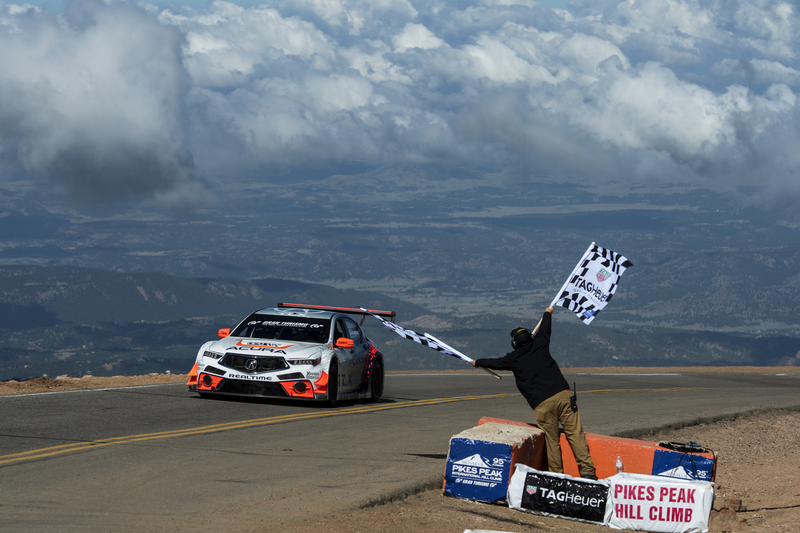 This is the sixth consecutive year that Acura has raced vehicles in the Pikes Peak event.